With the International Air Transport Association (IATA) expecting 7.2 billion passengers to travel in 2035-a near doubling of the 3.8 billion air travellers in 2016-passenger volumes show no sign of slowing down. CrowdVision, Amadeus Ventures’ latest investment, is helping airports manage the growth, so travellers can benefit from faster check-ins and shorter security lines. 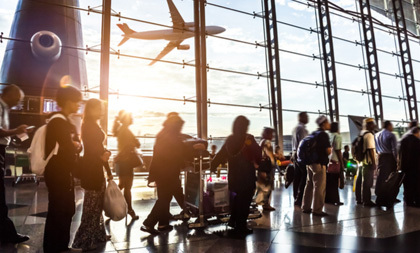 “Together with CrowdVision, we will be able to help airports to better anticipate and respond to traveller flows for better real-time, planning and investment decisions. We’re committed to helping airports improve their operations and performance, because when airports run smoothly, everyone benefits: airports can get more value out of their retail areas, more flights can take off on time, and travellers enjoy better journeys,” says Suzanna Chiu, The Head of Ventures at Amadeus. “CrowdVision complements the existing Amadeus Airport IT portfolio to deliver additional insights and benefits to customers. Working with Amadeus will give us access to a huge network of airports and travel partners around the world. We’re looking forward to helping more airports operate more efficiently so we can all get to where we’re going without the stress of crowds,” says Fiona Strens, CrowdVision’s Chief Executive Officer. Amadeus Ventures, the corporate venture arm of Amadeus, invests in start-ups sitting at the crossroads of travel and technology. Amadeus launched this initiative in 2014 and CrowdVision is the latest addition to a portfolio that includes start-ups such as Situm, Avuxi, Betterez, Bluesmart, BookingPal, Flyr and Yapta. The CrowdVision solution processes live video input from commercial off the shelf cameras, and detects pedestrian movements automatically using sophisticated artificial intelligence techniques. CrowdVision outputs live data about everything from flows, queues and wait times to processing times, occupancies, and asset utilisation. Live dashboards reveal actionable insights to improve real-time operations, whilst accumulated historical data provides reliable evidence for planning and investment decisions.